We partnered with Alaska Seafood to make the most of salmon in salads during the summer harvest season and all year round. Today: Make extra salmon on purpose next time. With the amount of salmon consumed in the U.S.—about 3 pounds per person annually (! )—I've started to wonder: Why aren’t there more recipes for using up your leftovers? 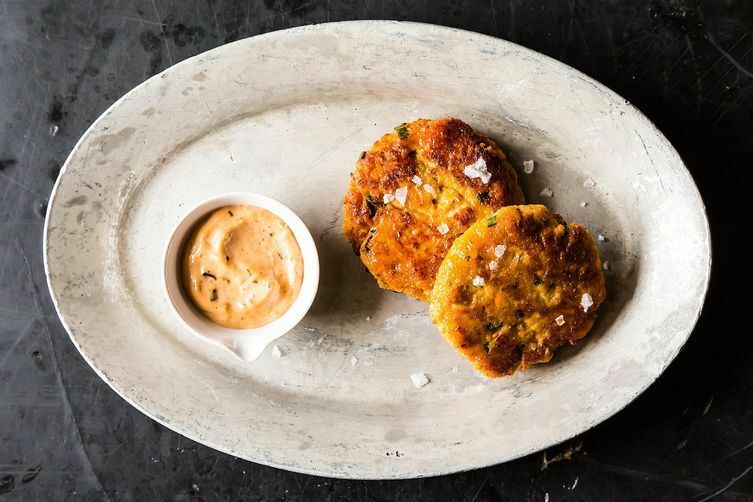 Why don't I encounter more recipes like kedgeree, an Indian-English dish of leftover rice and salmon, and why not use cooked leftovers in a recipe like salmon and sweet potato cakes? In general, the dearth of purpose-built recipes for leftover salmon (whether that’s fresh or frozen) reflects a conventional wisdom that dictates any fish warmed over is never quite as good as when it was first cooked. Salmon has a particularly great texture after it has been cooked and cooled, and you can use it in a whole swath of great summer salads. And since it has a strong taste to begin with, eating it cold doesn’t dull its flavor and it can stand up to crunchy vegetable counterparts and acid-tinged dressings. Take into account both the flavor profile of the salmon as it was cooked—were there spices, marinades, sauces?— and the method in which it was prepared. 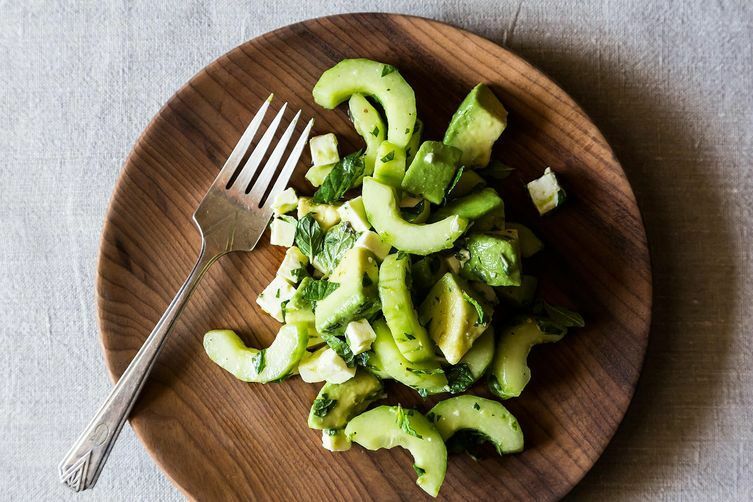 You’ll want to mesh those elements with the salad’s ensuing construction. If you’ve made a poached or simply roasted piece of salmon, it's best to match the fish with some of its natural pairings like avocado and cucumber, lemon and capers, or the Thai trifecta of fish sauce, lime juice and, brown sugar. You can also substitute a piece of hot-smoked salmon in any potato salad that calls for the cold-smoked variety, like in la domestique’s tarragon potato salad. If a salad calls for gravlax, six ounces of flaked, grilled salmon tossed with a teaspoon each of capers and their juice, a pinch of sugar, and a sprinkling of fresh dill will render a good substitute. 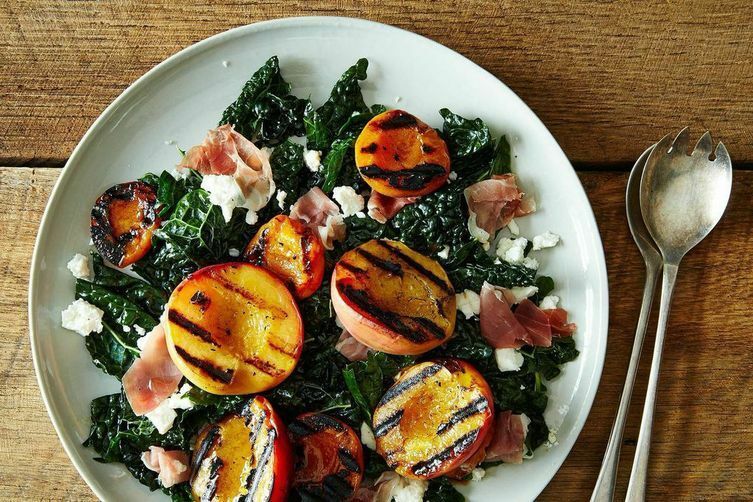 If you’re looking to use cold salmon that’s been previously cooked with distinctively sweet glaze like, say, cardamom and maple, it would be a great substitution for the prosciutto in a grilled peach and apricot salad with feta and kale. 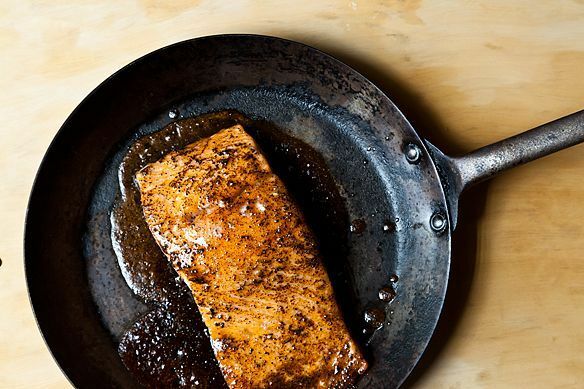 One of my absolute favorite salmon recipes is Sonali aka the Foodie Physician’s miso and agave-glazed version. 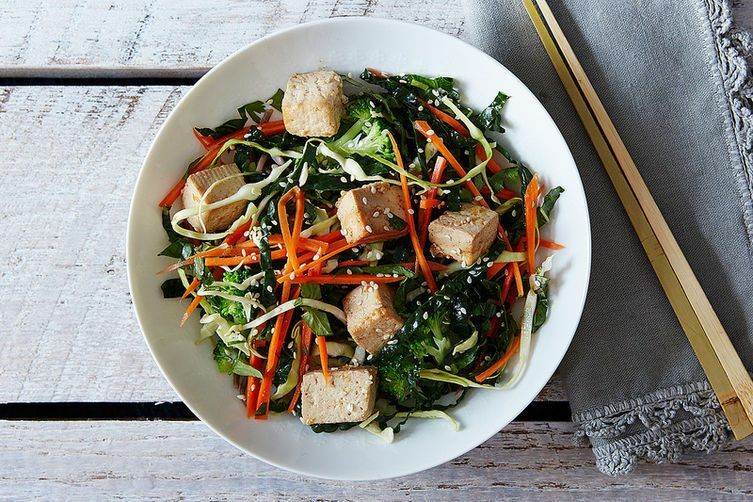 A couple ounces of it the next day is a perfect substitute for the tofu in Poppies and Papayas's citrus, ginger, and buckwheat noodle salad. After making a few rounds of these leftover salmon salads, I’d be willing to bet you'll always cook a little extra on purpose in the future. Five species of wild salmon are available from Alaska, and our friends at Alaska Seafood help bring it to your local seafood counter. I love tuna salad and had just made some for lunch when three of my friends dropped by. I was really hungry and didn't want to put off eating, but I knew that my one can of tuna wouldn't feed everybody. I had no more tuna but I did have leftover salmon in the fridge. So, I broke it up and mixed it with the tuna, added a bit more mayo, a squeeze of lime juice (I didn't have any lemons), a dash of curry powder, and tossed in some raisins just for fun. There was enough tuna/salmon salad for three generous servings on lettuce along with some sliced tomatoes on the side and an assortment of crackers. It was delicious and I've often made it since then. Kind of like coronation chicken salad in England!